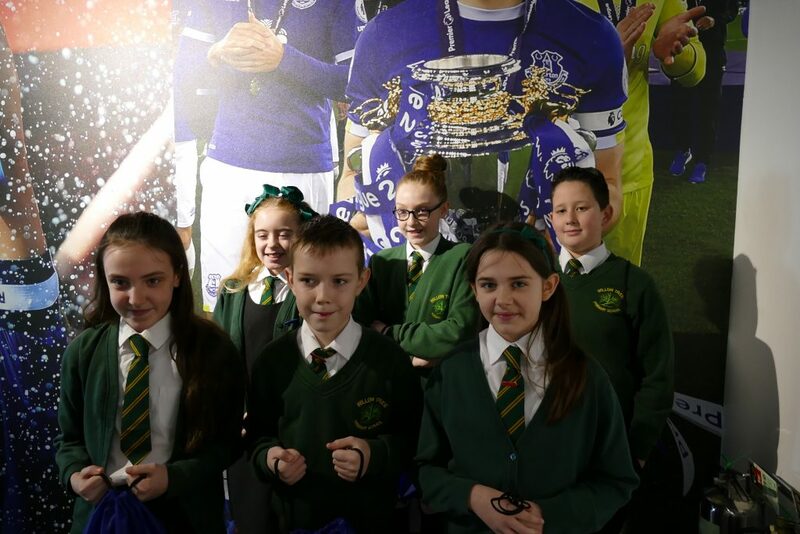 After winning a competition held at Goodison Park in November, students from Willow Tree Primary School in St Helens met Everton’s Stadium Development Director, Colin Chong, to present ideas for the Club’s Bramley-Moore Dock project. Pupils Molly-Mae, Leo, Scarlett, Poppy, Dominic and Ava, were joined by their teachers Stephen Latham and Sophie Vickers as well as Willow Tree Primary School Headteacher, Martin Bell. They visited the Boardroom at the Royal Liver Building to deliver a presentation before undertaking a tour of the Blues’ headquarters. The six pupils were selected by their classmates to deliver their ideas to Colin Chong, suggesting ideas including a special autism-friendly facility for matchdays, a fan ferry to aid travel to and from games, and how to work alongside UNESCO to help preserve the site’s heritage. 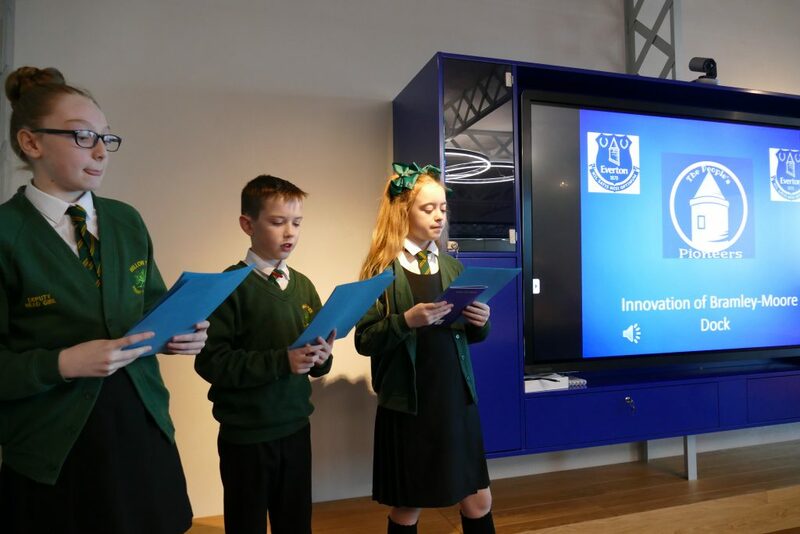 Everton’s Stadium Development Director Chong said: “The children’s presentation was really impressive. For such young people to be so knowledgeable about the site and with the type of questions they asked showed just how mature they are. Project leader for the school, Mr Latham added: “For us as a school at Willow Tree, it has been an absolute privilege to work on this project alongside Everton Football Club. Find out more about the plans for the stadium and our consultation roadshows. See more from their visit via the video below.